When we look at homes in magazines, we notice and appreciate the design, but what about its photographer? With a passion for color, creativity and cameras, Hudson Valley native Rikki Snyder is a name to know in lifestyle photography. Often tasked with photographing interiors, Snyder has become an asset to the interior design world, capturing homes in their best possible light for the world to see. 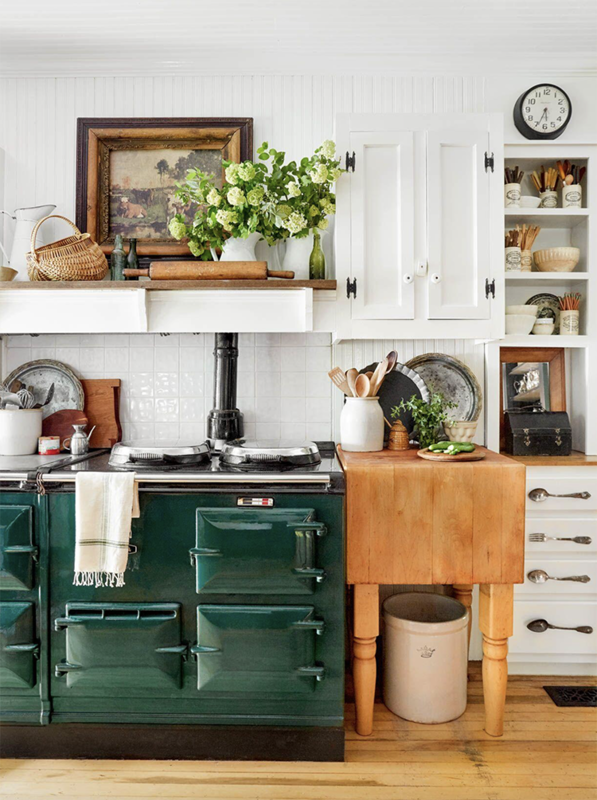 Raised in the Hudson Valley, Snyder attended university for photography and moved to New York City, where she became involved with major publications like Rue Magazine, The Cut, Elle Decor, Refinery 29, and Conde Nast Traveler, providing them with well-composed images of food, homes, and products. Now leading a quieter life and returning to her roots in the Hudson Valley, Snyder lives in Beacon, New York where she travels to the city weekly for shoots and opportunities. Meet this week’s Maker Monday as she tells us a bit more about her life behind the lens. Snyder captures this welcoming, sun-drenched kitchen. Andrew Joseph – Vintage or New? Rikki Snyder – I love to mix both. Rikki – Fresh lilacs blooming in Spring. Andrew – Last piece of content that you consumed that made you cry? Rikki – Episode 26 of the Terrible, Thanks for Asking podcast. It got me real good. Rikki – Italy (specifically Tuscany). I would love to photograph a rustic winery or quaint B&B in the Italian countryside. Rikki – I like to think of it more as a work-life blend. Balance sounds like you are trying to manage everything all the time and that can be exhausting or feel like a standard we have to live up to that is impossible to achieve, especially as a freelancer. I say strive to find a schedule that works for you and makes you happy and fulfilled. 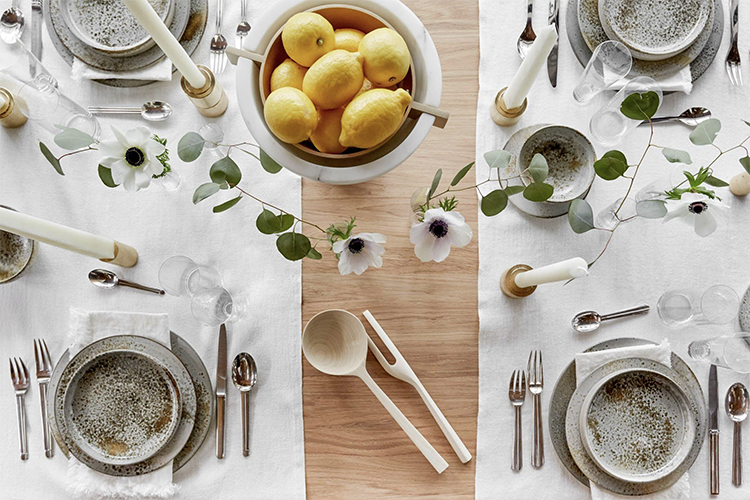 A pop of citrus brings warmth and sharpness to a rustic-yet-minimal tablescape. Andrew – Before leaving the house you always…. Rikki – Say goodbye to my dog, Zoe. Rikki – Someone that is easy going and flexible yet knows what they want and has a great vision for the shoot. I also love clients that give me artistic freedom and let me do my thing. Rikki – Lemons…I squeeze them on salads, put them in water, smoothies & cocktails, cook with them and clean with them! Rikki – Portland, ME for the really good food scene and the New England coastal vibes that I just love. Snyder selects a colorful portion of this home’s kitchen to highlight. About Rikki Snyder | As a food, interior and lifestyle photographer, my style is colorful, relatable, messy yet contained and always thoughtful. I can be inspired by a ray of light shining through a magnolia tree, a stack of pancakes or even something as simple as the patina on an old wooden floorboard. I grew up in the beautiful and sought after Hudson Valley region of New York State. It provided an endless amount of inspiration with the colorful and at times whimsical landscape. After attending photography school I moved to New York City and called Brooklyn and Long Island City, Queens home for many years. During this time I experienced the city at its fullest and learned the ins and outs of the photo industry while working with many top professionals in the food and design communities. Today I find myself back near my roots in the Hudson Valley, nestled in the artistic city of Beacon, NY, splitting my time between this dreamy town and the hustle and bustle of New York City that is only a quick train ride away. Here in Beacon, I have my own loft studio space in a renovated, historic, textile mill, surrounded by other artists in the area. I travel to New York City multiple times a week for shoots which allows me to experience the best of both worlds: city and country.